I’m happy with the news that coding is going to be introduced in school curricula next year. Straight off the top of my head, I can already list off some advantages: programming is probably going to be an essential language to know in this flourishing digital age; being able to code helps you understand so much more about all the technology around you; it will be an advantage and eventually, a possible necessity when they join the workforce and it also fosters logical thinking and problem solving skills. MDEC (Malaysia Digital Economy Corporation) has long been at the forefront campaigning for the digital transformation of Malaysia and they believe in using education to help modernise our country and bring it to the digital era. Therefore, it’s no surprise that they are playing a very active part of this and it is a big move ahead for Malaysia. However, having spent close to three years in the education industry, I’ve watched so many brilliant and noble ideas fall flat, despite starting off with so much promise. We know that a beautiful thing in concept or paper might not translate so well into real life. In the spirit of wanting to make it work, here are some things that I hope are going to be considered and worked on before we roll out coding lessons in our schools. We already know about the debacle surrounding the language of instruction for the teaching of Maths and Science in our schools. So my question now is—what language is coding going to be taught in? All the debates raging round for whether Maths and Science should be taught in whatever language can be applied to this too. Things like understanding versus global application, versus preserving our heritage versus whatever advantages using a certain language gives. If we do choose to use our national language to teach coding, what about the materials? A quick Google search came up blank. Many of the apps and games that can be used as classroom tools to help the kids learn coding are in English. Will there be enough resources available on time to be of use if it is started next year? If not, is there anyone doing anything to address this? 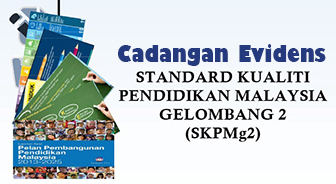 The new National Education Blueprint (2013-2025) is quite a marvellous thing to behold. If you have time, look through the Preliminary Report, which looks as if it has had a lot of work and thought put into it. They got a lot of the priorities right and look as if they do want to build a better education system for Malaysia. Of course, there are concerns still that they’ve missed out on certain things and were too general and vague when it came to the actual implementation. The top-down planning approach suffers when we try to apply it to classroom development, if there isn’t a proper plan in place. Extrapolating from that, how are the responsible authorities going to ensure the standardisation for the teaching of coding? Will there be tests and exams, and what will the students be tested on? The question now is, who will the teaching the students the coding? A study done in 2014 of Malaysian teachers showed that although the ones who responded were quite competent in basic ICT skills (e.g. Googling, finding resources and making presentations), many fell short when it came to the advanced ICT skills. 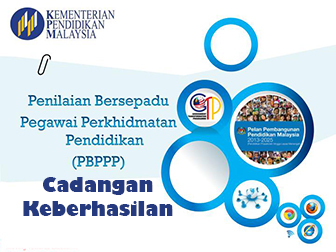 Also, of the 7,320 primary and secondary school teachers throughout Malaysia surveyed, only a total of 2661 responded. I might argue that it’s likely the teachers who were very lacking in ICT skills would not have chosen to answer a survey on ICT. 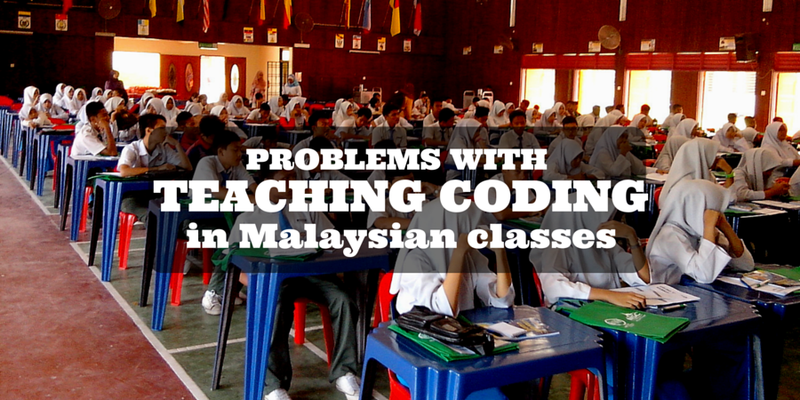 Of all the teachers in Malaysia, I highly doubt a significant number will be able to teach coding. What then? Will there be training for the teachers, or will the schools start hiring programmers and coders to teach their classes? On one side, we have the group that arguably can teach but lack the knowledge. On the other, we have a group that has the knowledge but might lack the experience and teaching skill. Where is the middle ground going to be between them and will there be enough of them to do the actual teaching? Let’s be real. To learn coding, the students are going to need not just the teachers but also the facilities. The schools that will have the facilities will be those from the wealthier and more developed regions. The rural areas already have a known disadvantage when it comes to ICT implementation in their schools due to administrative and facility barriers. The urban areas will likely have the lion’s share of the facilities and support, leaving the urban areas further behind. This can only be another nail in the coffin and hold back any other chances of reducing the evident socioeconomic gap suffered in our country. This is a personal problem and it should definitely not stand in the way of progress and letting the students learn coding. However, imagine this scenario in about ten years time when those students—who, in our perfect scenario, have successfully gotten a pretty decent grasp of coding—join the workforce. In the past, we had this stiff hierarchy in the workplace where the newbies had the least experience and therefore the least pay. However, in this digital era, it’s not just about learning to do one specific thing for your job and just perfecting it. The skills that we need to be good at what we do keep growing and changing as technology evolves. For the generation who have already graduated and left school, we would be without the advantage of coding knowledge and familiarity with the language. Why wouldn’t a prospective employer choose a younger, more energetic and more skilled version of you, when hiring or deciding about promotions? Again, I am not trying to shed doom and gloom on the idea of teaching coding in schools. There are so many good reasons to introduce it and if done successfully can really help the students in their future lives and careers, which can only be better for Malaysia.